Rubbish Clearance News: Is This £600 Fine Reasonable? This is rubbish clearance news reported in the Metro on November 26. It seems a man named Neil Masey received a £600 fine from the Hove City Council for placing in the recycling bins two items at a shopping center where he works. One was a cardboard box and the other item was a small thirty milliliter plastic bottle. He was fined £300 for each of these items. You need to understand the details of this matter to decide for yourself whether or not you think the fine for this rubbish clearance was reasonable or not. However, most commenters on the story seemed to think at the very most, the man could have simply been warned by the council officer rather than actually being fined. Neil Masey owns a business called “Mr Masey’s Emporium Of Beards.” He specializes in creating his own blends of vegan oils for beards and vegan moustache waxes. To create these, he rents a small bench space in a gift shop near Brighton beach. He generates very little rubbish clearance in his business. Each week he generates approximately two cardboard boxes that can be easily recycled and on some weeks, he may generate a plastic bottle that can be recycled. He is careful to reuse as many materials as possible. So, it sounds like this is a business with a fairly low ecological footprint that generates very little waste compared to most businesses. The Hove City Council is threatening to raise his fine to £2000 if he doesn’t pay the £600 fine within the period of fourteen days. He could also be criminally prosecuted if he refuses after that. So far, he is refusing to pay the fine and plans to go to court to appeal the original £600 fine. After Mr. Masey recycled the cardboard box and small plastic bottle, he noticed that a council officer went into the recycle bin and removed what he had placed there. He is now being told now that he’ll need to purchase a commercial contract which can cost upwards of several hundred pounds for remove his waste and he’ll need to get a waste transfer notice from that service to know for sure that his rubbish clearance is being disposed of properly. The Hove City Council is claiming that unauthorized waste put in their recycle bins costs them hundreds of thousands of pounds every year. The most mind boggling part of this story actually centered around a discussion of his lunch. Mr. Masey packs a sandwich and some crisps almost every day to have for lunch. He is now being told that if he disposes of the crisp container in the shopping center bins, he could be fined £300 each time he does this. However, and even more ironic, is the fact that if he carries this waste (the crisp container) home with him each day and puts this waste in his bins at home, he would be committing an illegal act. Even though he packs his lunch at home using his own groceries from home, the fact that he eats the crisps at work, makes the crisp container technically “trade waste” which must be disposed of with a commercial contract for his business. Does this seem right to you? Did the council go too far in fining this man under these specific conditions? Could Mr. Masey get around the crisp container being turned into “trade waste” by removing the crisps at home from the container and then taking them into work in a reusable container? Would the crisp container left at home still technically be considered “trade waste” that could not be legally binned at home as home rubbish removal? There are many issues surrounding rubbish clearance that seem like gray issues or issues of little consequence but local councils still hand out huge fines. Some people may question why they would bother to fine this man when there are fly tippers who dump far more rubbish into unauthorized areas, even directly on roadways and inside parks, rather than putting it in bins. Other people ask why he is not allowed to combine his small amount of rubbish clearance with the gift shop with whom he rents a bench. This would seem like a reasonable solution given the very low volume of waste he creates but this may not be technically allowed. One thing that should be pointed out is that Clearabee, an on demand rubbish clearance company, has much more flexible rates and procedures than do the local councils. It may behoove Mr. Masey to give Clearabee a call and go over the fees to collect the small amount of waste he generates each week. He could potentially use their beebag service, wait until it was full, and then call for a pickup, which is usually same day. This would avoid having to use the bins all together. 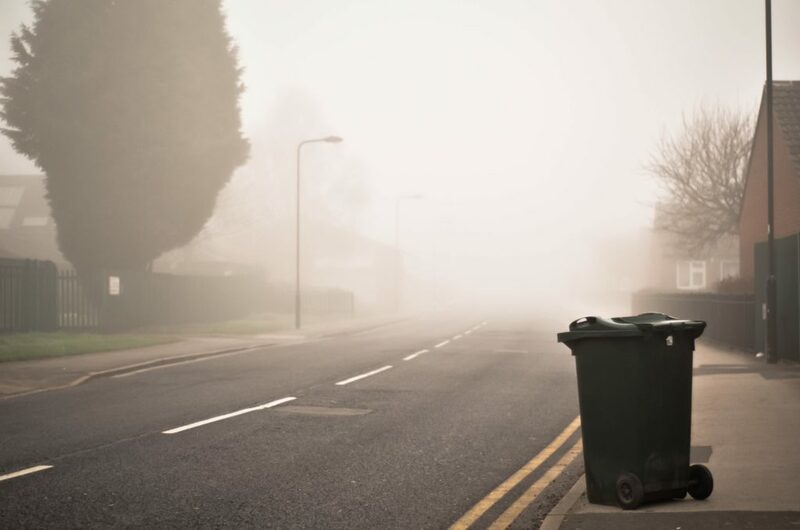 This would also ensure that everything that could be recycled would be as Clearabee has a ninety percent recycle rate, the highest in the UK and one of the highest in Europe. This is an interesting story to follow to find out how it actually turns out in the end and if these questions are resolved!